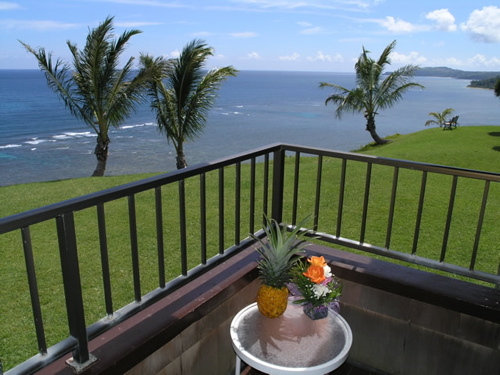 PRINCEVILLE, KAUAI VACATION RENTALS: This spacious condo in the Emmalani Court Princeville community is very well appointed, and situated right on the Makai Golf course with breathtaking ocean views. 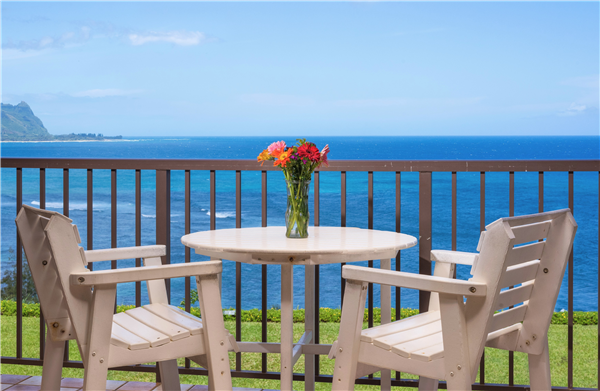 This 3 bedroom unit features multiple ocean-view lanais, AC, and everything you need for a relaxing stay on Kauai’s beautiful north shore, including a common area with pool, jacuzzi, and rec room. 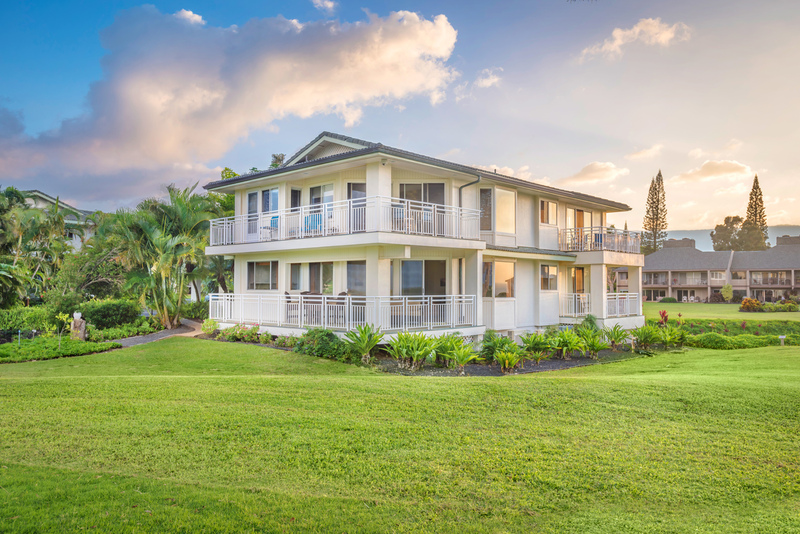 It’s located just minutes from the shops at Princeville Shopping center, as well as walking trails to Hideaways Beach, Anini Beach, and Hanalei Bay. Sleeps 6. 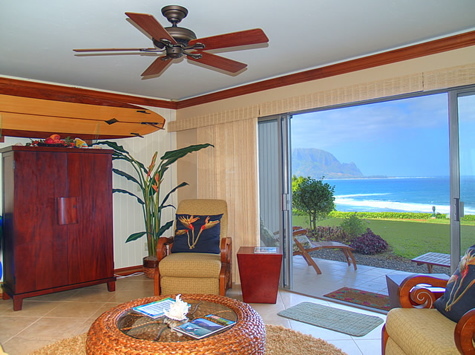 PRINCEVILLE, KAUAI VACATION RENTAL: Pali Ke Kua 216 boasts spectacular ocean and mountain views! 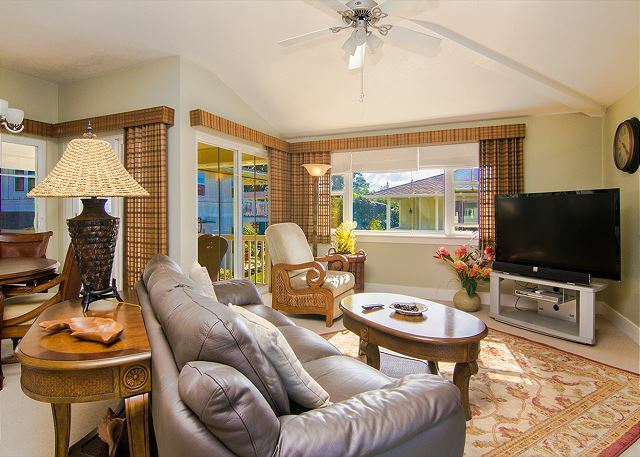 This Hawaiian-style condo features two bedrooms and two full baths, a comfortable living room area, and a fully equipped kitchen. 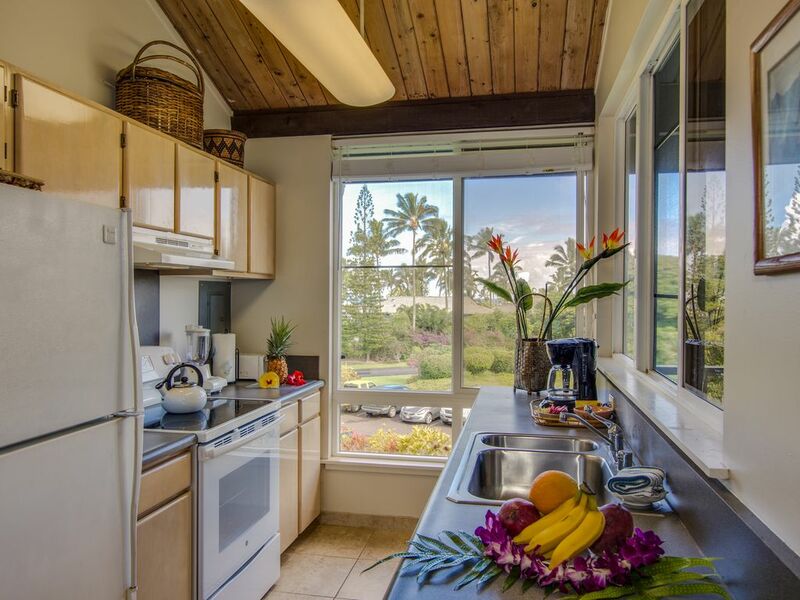 CONDO RENTAL PRINCEVILLE KAUAI: Puu Poa #309 offers a beautiful, luxurious place to relax and unwind after your day exploring the Garden Island. 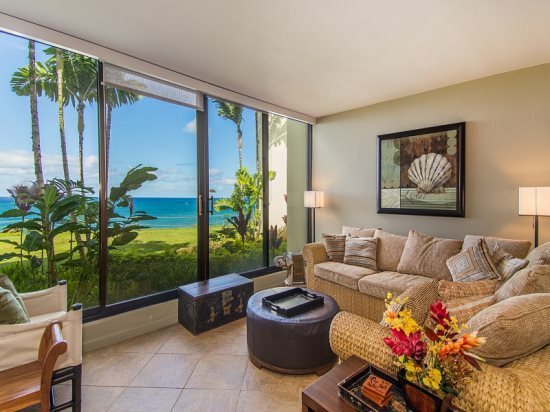 Sitting on the lanai and watching the surf, as the sun sets into the ocean and the sky turns magnificent colors,you will know you are in Paradise. Sleeps 4 people. 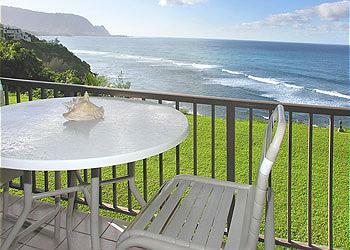 CONDO RENTAL PRINCEVILLE KAUAI: The Puu Poa #312 is the finest location in Princeville. 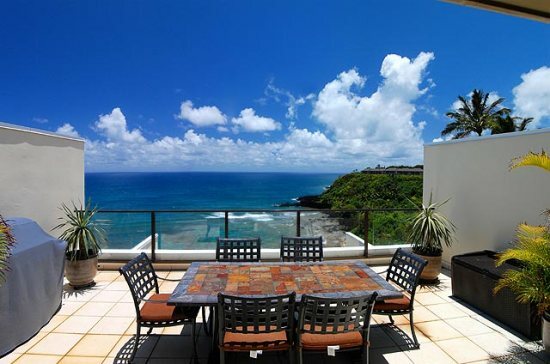 Perched on the edge of the bluff, this most luxurious, 2 bedroom, 2 bath unit overlooking Hide-a-ways surf spot and beach is not to be missed! 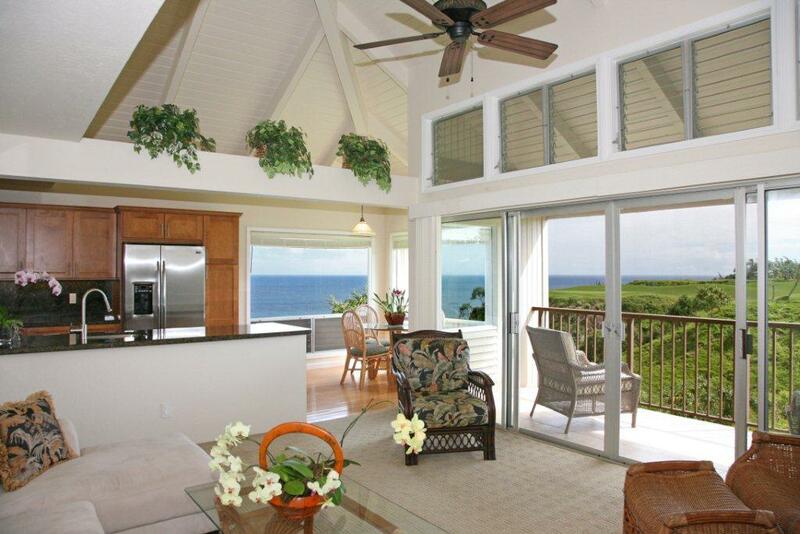 Two private lanais for sunning, lovely pool and tennis courts. Japanese-style soaking tub adjoins the master bedroom. 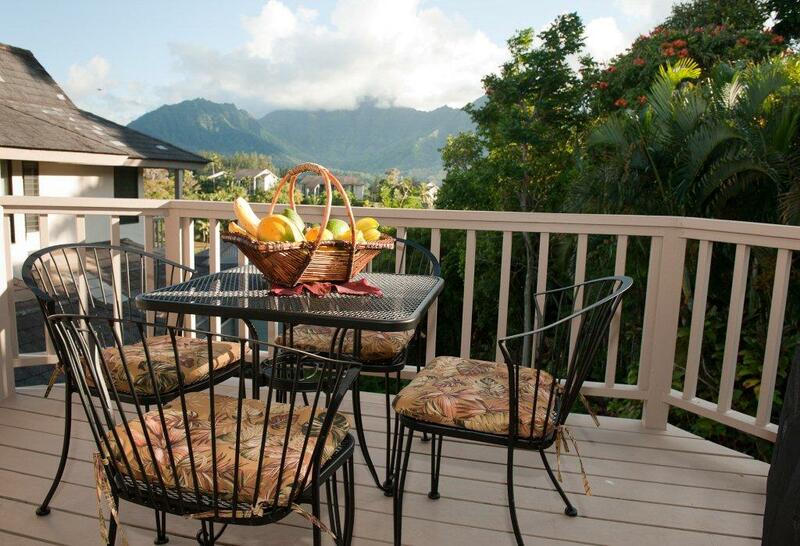 Walking distance to the posh Princeville Resort. 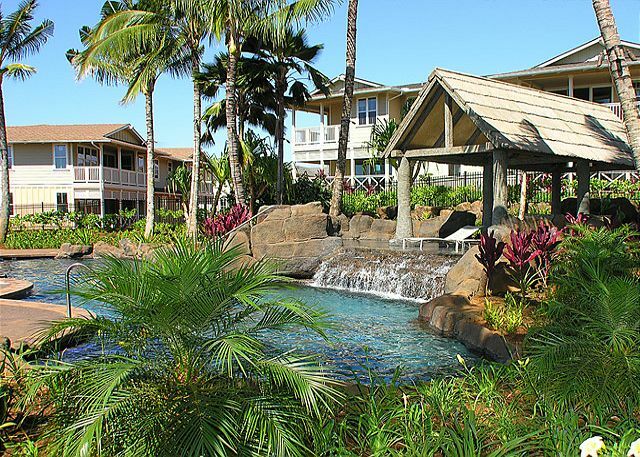 Convenient to Princeville golf courses. High speed internet. Sleeps 4. 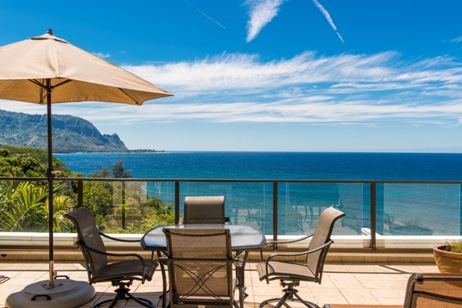 Princeville is Kauai’s North Shore destination resort community, situated on a large plateau overlooking Hanalei Bay and the multi-hued reef at Anini, the numerous public amenities and thoughtful community design make for easy island living in and around Princeville. Receiving about 85 inches of rain per year, making it a very lush, green paradise year round, feeding the neighboring mountains’ spectacular waterfalls and creating stunning rainbows over this elite plateau. 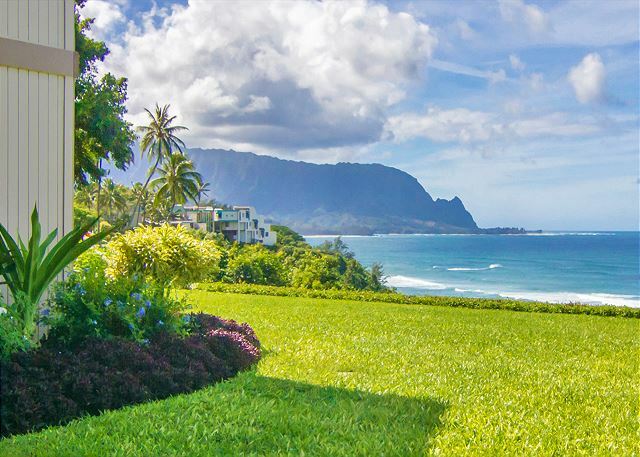 Once a sugar plantation, today Princeville is a master-planned resort community of luxury hotels, high-end custom homes, luxury condos and timeshares. 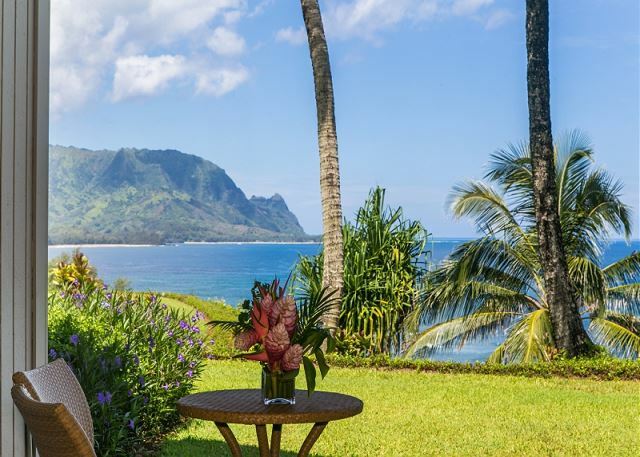 This North Shore destination resort is located on a coastal bluff overlooking the scenic town of Hanalei and the sprawling natural Anini reef. A gated residential community featuring amenities like World Class Golf, tennis courts, bike and jogging path, health club and day spa attract enthusiasts of an active lifestyle. 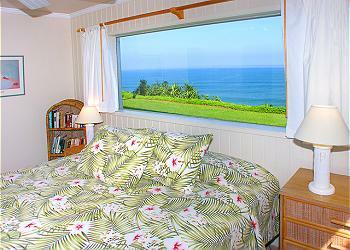 Many consider Princeville’s “Prince Course” to be some of the best golf in Hawaii. 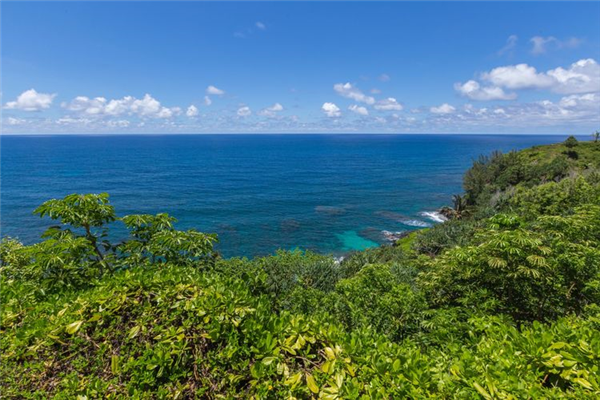 One of the infamous landmarks in Princeville is the Queen’s Bath, a series of suspended tide pools and lava tubes that in the summer months are home to sea turtles, tropical fish and calm seas. Access to the area is within a residential neighborhood and requires care and skill to traverse the steep trail that leads to it. For safety reasons visits to the area during the winter months are not recommended. 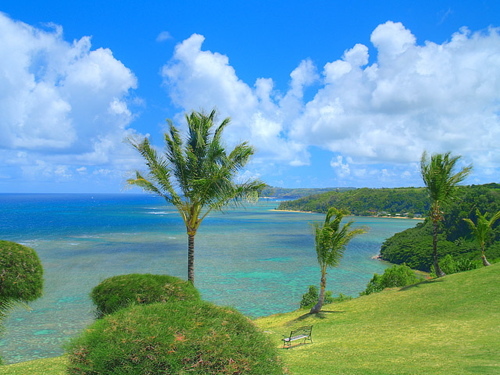 Princeville Shopping Center offers a grocery store, local boutiques and restaurants with an adjacent public library, community center, playground and park facility. 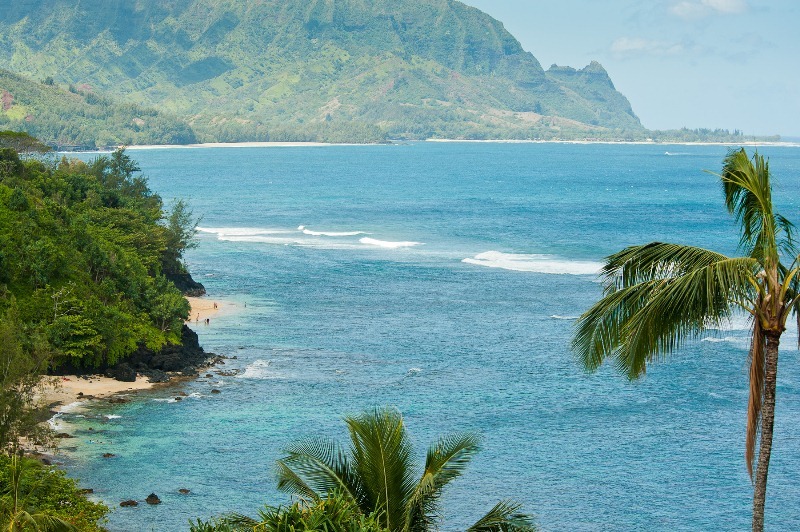 While access to the ocean and beach areas is limited and treacherous, Princeville is the perfect place to observe the North Shore’s huge winter surf from the safe lookouts located near the Princeville Hotel. 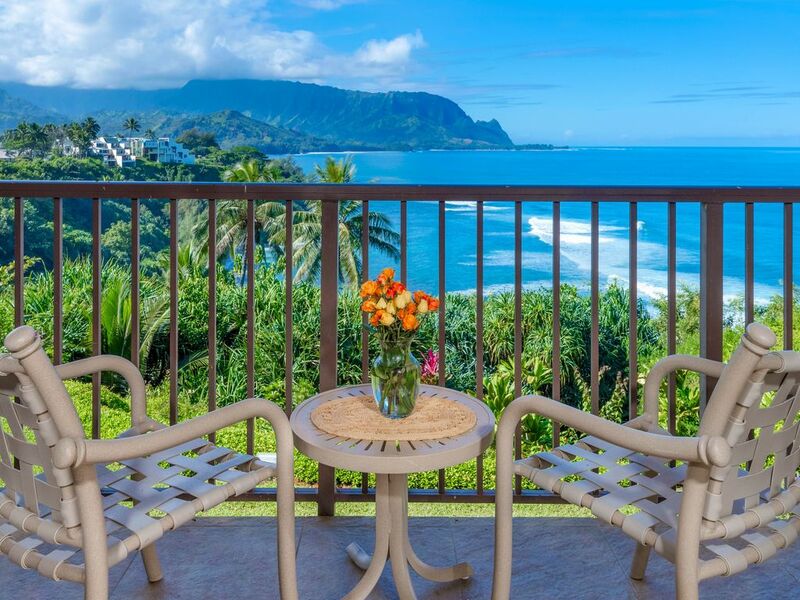 The ideal place to enjoy a Sunday Brunch with inspiring views, the Princeville Hotel is perched on a cliff overlooking Hanalei Bay and Bali Hai.